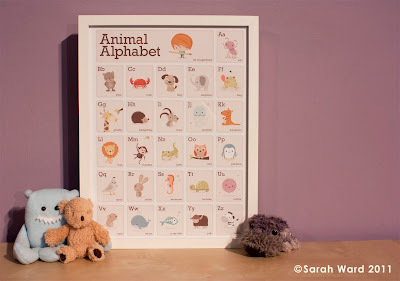 I wanted to share with you my new limited addition print, the Gingerbred Animal Alphabet!! 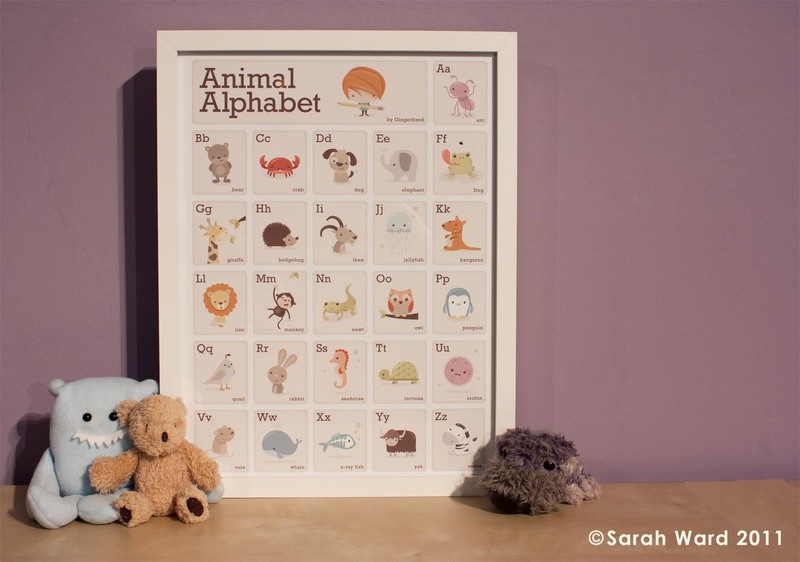 It's printed onto beautiful matt 230gsm quality paper, and looks delicious in 'real life'. I'm so pleased with the final outcome, the printers have done a fantastic job... the photograph doesn't do it justice really! This print will be launched at the SOUK Fashion & Lifestyle Bazaar this Saturday (visit here for details) - if you're nearby then pop in and say hello!! 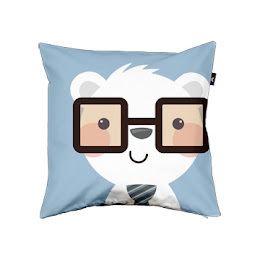 I will then be releasing it for sale on my etsy shop too. Here's a close up of some of the favourite characters... which one is yours? 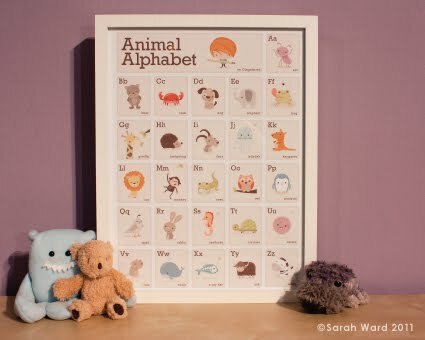 You did a wonderful job on your animal alphabet all the animals are so cute! 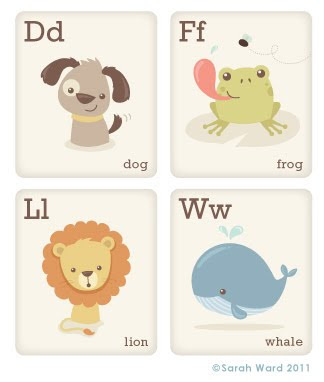 my favorite one is the lion. They are really gorgeous! I love their cute expression!! Would be a great present for parents to be!! They all look fantastic, I love the jellyfish and the x-ray fish the best though, great stuff.